Today marks the start of the return of syncing between Opera browsers. 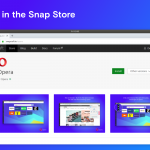 With the latest Opera developer release, you’ll be able to keep track of your bookmarks between computers. In addition, we have made improvements to popover dialogs on Mac. 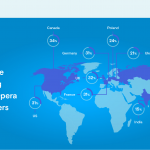 Syncing has been a long-requested feature from readers of this blog; and, today, we’re happy to announce the first instalment of syncing your Opera browsers. We have enabled the syncing of bookmarks. To start syncing your bookmarks, click on the account icon to the right of the address field, and sign in using your Opera account.